Posted October 27th, 2016 by Jessica Garcia & filed under Uncategorized. 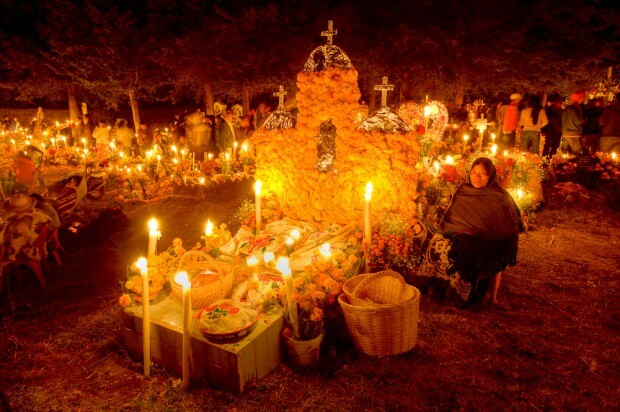 Each year around Halloween we start to hear about Día de los Muertos (Day of the dead). 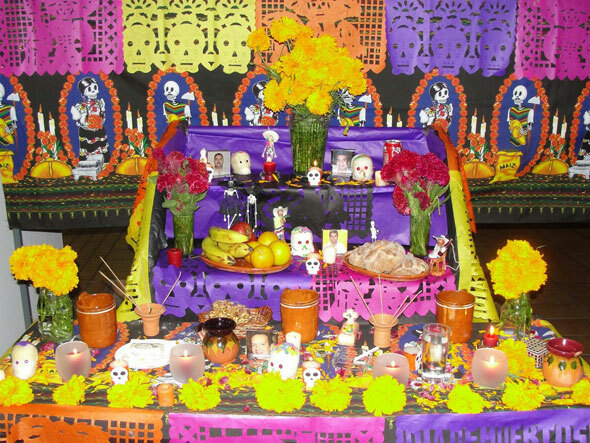 We see altars decorated for ancestors and those fun, and yummy, sugar skulls. But what is this celebration really about? 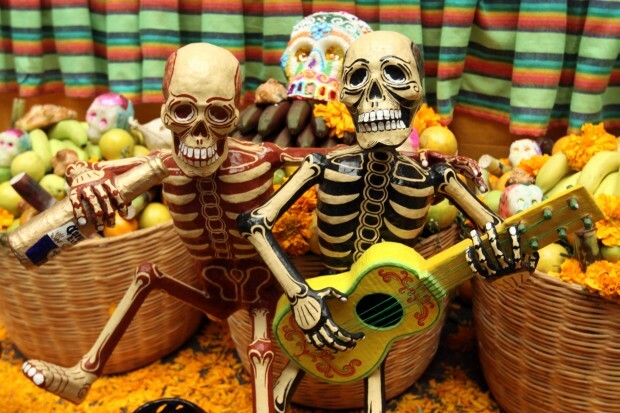 Here are 5 things you never knew about Día de los Muertos. Traditionally this “day” is actually 2 days. On November 1st family and friends celebrate Día de los Angelitos, for children, and on November 2nd Día de los Difuntos is dedicated to adults. Some family members even head to the cemetery on October 31st after dark for a vigil. While Halloween is a scary holiday in the U.S. Day of the Dead is a day to remember those we have lost and celebrate their lives by telling stories and fondly paying tribute to them. It’s believed that the dead walk among us on these days and we are given a chance to be with them again. Have you seen the woman skeleton with an elegant dress and hat? She has a name, and a story. 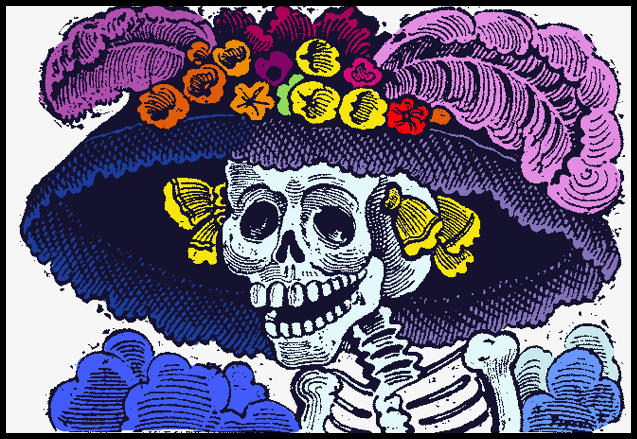 La Catrina was created by a political cartoonist José Guadalupe Posada to represent, or really critque, the elite women of society at that time. Diego Rivera, however, was the person to actually give her her name, La Catrina. 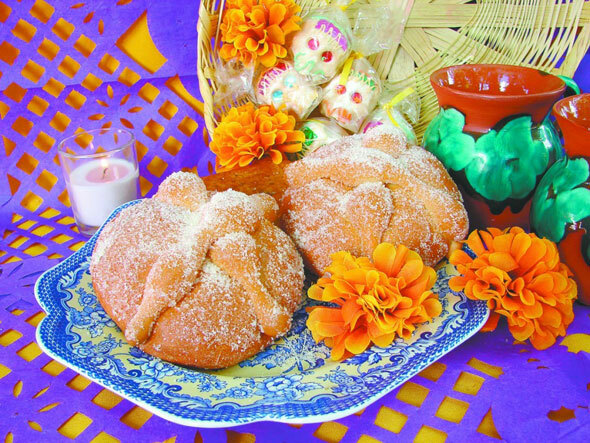 Pan de Muerto is a sweet bread that is eaten for the holiday representing the dead by two crossed bones on top. The bread is rich in flavor with a touch of citrus and is commonly placed on altars. The Yucatán Peninsula, where Cancun is located, is home to many Mayans who have their own special version of Day of the Dead called Hanal Pixan. Their version lasts 3 days, October 31st is dedicated to children, November 1st to adults, and November 2nd to all saints. Houses are cleaned before October 31st so that the spirits don’t come and try to help clean, and people usually go to bed early as to not scare off the spirits when they arrive. 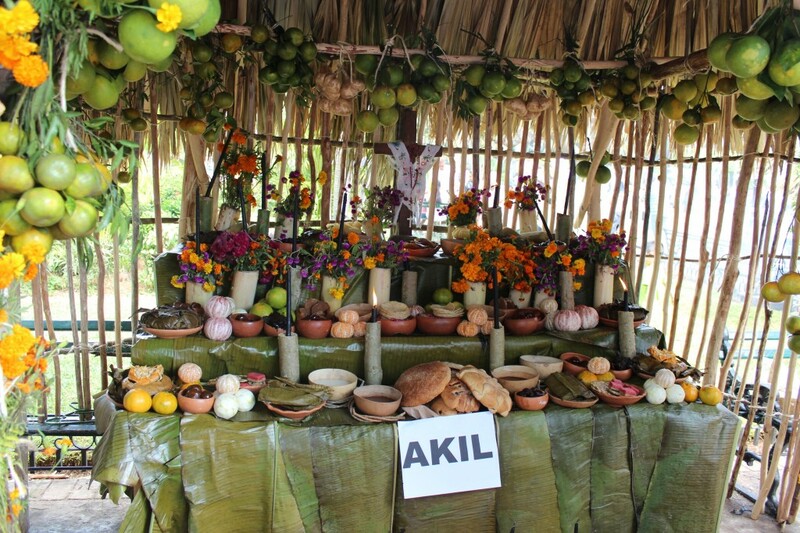 Altars, Ofrendas, are typically built with banana leaves and and palm tree leaves and are a bit more subdued with less colors, and you sure wont find any sugar skulls. If you are looking to truly experience this holiday and all of its traditions we recommend that you attend Festival Vida Y Muerte at Xcaret park. They have a special 4 day event each year dedicated to this holiday full of culture, food, traditions, and shows to remember, and pay tribute to, the dead. Reserve your vacation now and come celebrate this unique holiday with us!